The Original HP 564 and 564XL are two ink cartridges commonly found in HP Photosmart and Deskjet printers. As we all know, buying ink can be pricey – but here’s a quick guide on the difference between HP 564 and 564XL. The Original HP 564 and 564XL ink cartridge is available in five colors: Black, Photo Black, Cyan, Magenta, and Yellow. A black cartridge contains twice the ink that a color (magenta, yellow, and cyan) cartridge, but yields fewer pages according to the International Standards Organization (ISO). One can see from this information that the XL delivers nearly twice the ink and page yields. 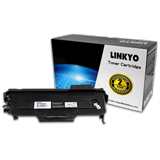 ← Can Brother TN450 Compatible Toner Save You Money?